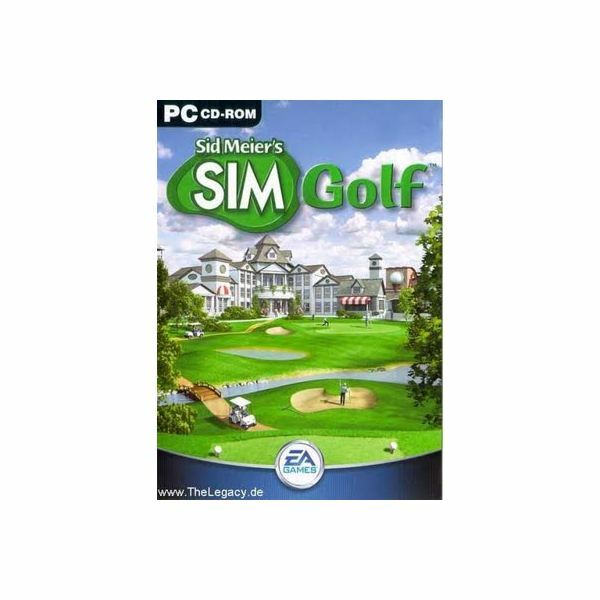 Sid Meier’s Sim Golf is a 2002 release which challenges the player to design, build and run a golf course. 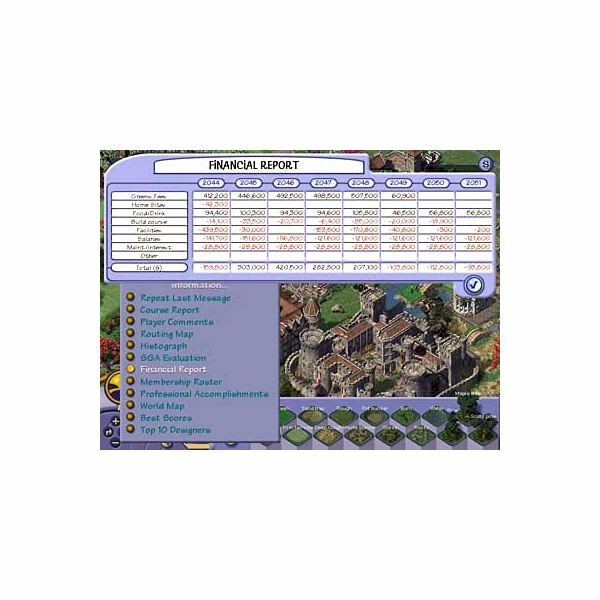 You can construct golf courses via an easy to use interface in various locations around the world and try to make them as profitable as possible. You also have the option to play the course with your golf pro and earn a little extra money to embellish your creation. The game is presented in a cute colourful style and you can watch your visitors as they play a round and learn what works and what doesn’t. Make your course too hard and they’ll become frustrated, too easy and they’ll get bored. This is a simple game to pick up and you don’t even need to be a fan of golf to get some enjoyment out of it. 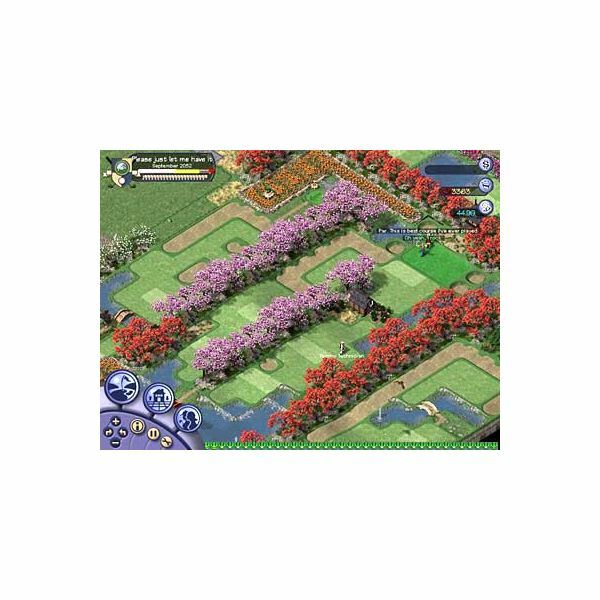 To begin the game you must select a location to build your first golf course. Different places have various terrain types and price tags associated with them and there are sixteen in all. You’ll start with a small area of land but as you progress more land will become available to purchase and you can gradually expand the course. The building interface is intuitive and easy to use and you can select objects, buildings or terrain from the bottom left of the HUD. The choice is limited at first, but as you develop then more buildings and options will present themselves. For constructing holes all of the terrain types are accessible at the start and you can lay out the tee, fairway and green along with a few hazards and review the hole before you open it to the public. The challenge in the game is to run your golf empire at a profit and the trick is to design a course which looks difficult but is actually quite easy to play. As individual Sims pair up for a round you can watch them and various thoughts will appear in speech and thought bubbles above their head. If they become frustrated they’ll walk off without even finishing the game so it is important not to make things too tough. Every course needs a clubhouse building and within the clubhouse you can select people to partner up for a round. If you choose correctly matching personalities then they will tell a story as they play a round and may even become friends. You will also be faced with various challenges in the form of VIP’s who turn up to inspect your golf course. You have to make sure they enjoy their round or your expansion plans may have to be put on hold. For example the county commissioner determines whether more land should be made available to you and he’ll only do that if he has a good time on your existing course. In order to boost your cash you can hold tournaments and compete as your local pro to try and win prize money. The controls for playing a round are very simple, a line will show you where the ball should land depending on your club selection and the choice of shot is very basic. This is not an in depth golf simulation. The art style is a typical cute cartoon look which is in keeping with the Sim range of games. You have an isometric view on the action which you can rotate and buildings and terrain are laid out with an easy grid system. 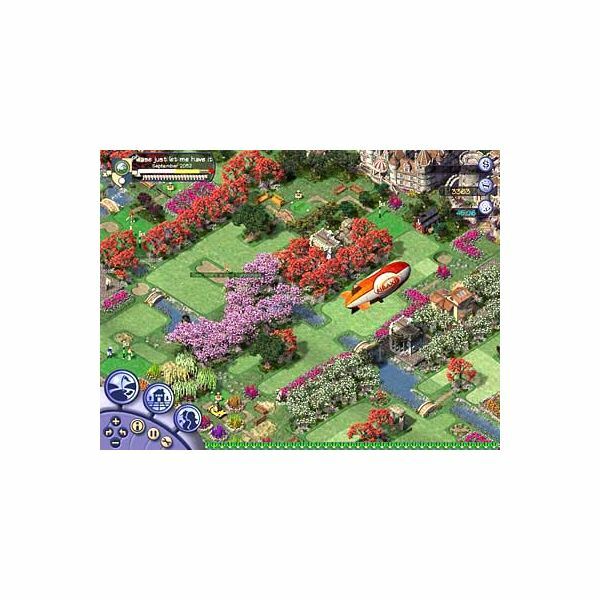 The characters are fairly basic with a small range of animations but there are plenty of vegetation and object choices so that you can make your course as attractive as possible. The visual look is lush and despite limited animations the overall effect is convincing and gives the impression of a bustling golf course. The sound is fairly basic and once again very much in keeping with the Sim range. You can hear various environmental sound effects which set the ambience and occasionally the gentle chirping of birds is interrupted by a frustrated golfer throwing their club away in anger. The golfers talk in that lovable gibberish Sim speak and there are musical cues when a relationship is going well. This doesn’t make too many demands on your system and it will happily run on an antiquated machine. Basic requirements are a 233MHz processor, 32MB RAM, DirectX 8 sound and video card and about 300MB of hard drive space. The game won’t run above the 800×600 resolution. Sid Meier has a reputation for excellent design and deservedly so. This doesn’t have the depth of something like his epic Civilization series but the simplicity is deceptive and when you combine the various aspects of the game it makes for a surprisingly addictive and varied game-play experience. I’ve never been a huge fan of golf but that didn’t stop me from getting several hours of fun out of this title. It is a soothing and relaxing game to play and the touches of humour in the stories that play out between your golfers and the added options which become available later, like the ability to build houses for celebrities on the course provide a few chuckles along the way. There’s no multiplayer option but there is a sandbox mode if you want to play free from the burden of finances and there is easily enough going on here to justify the budget price tag.